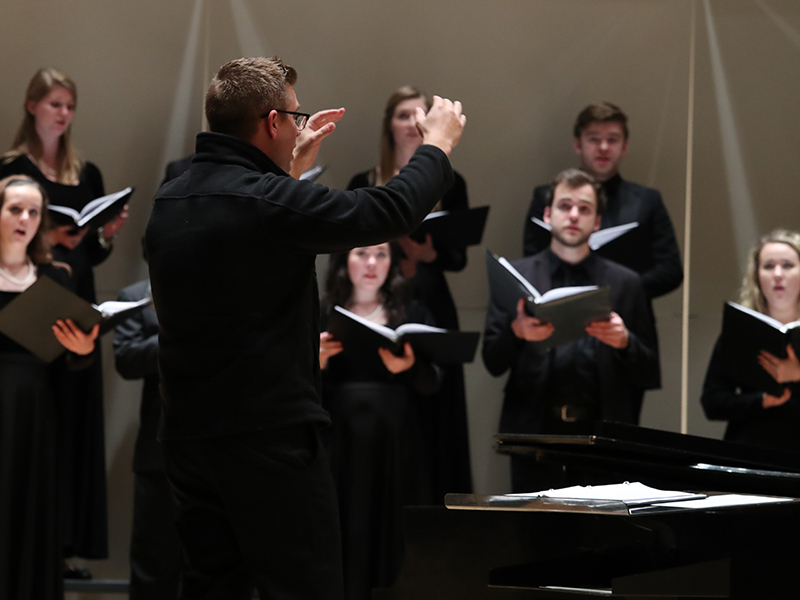 The Baylor School of Music consists of approximately 375 students studying with 65 full-time faculty and up to 20 supplemental professional adjuncts. We are large enough to offer comprehensive degree programs leading to bachelor's and master's degrees in education, performance and academic areas of music, and doctoral programs in church music, yet small enough to devote individual attention to each student. 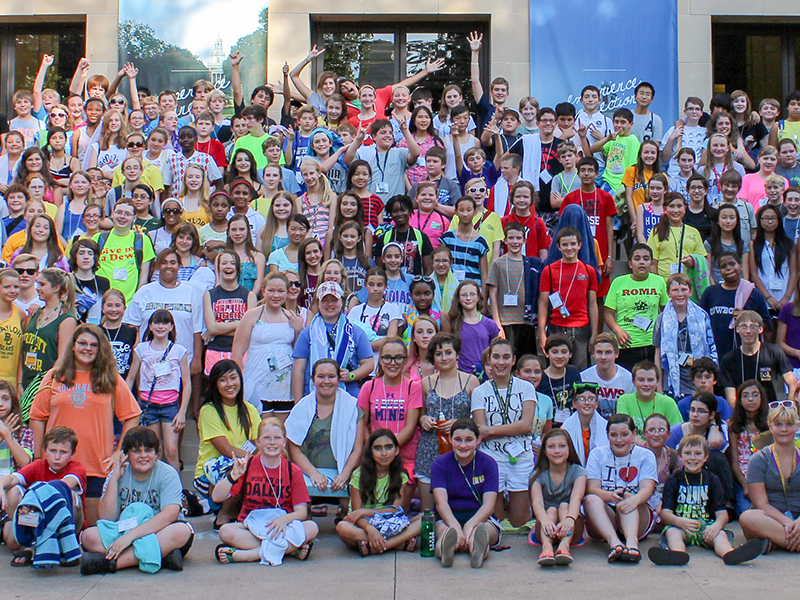 Baylor Summer Music CampsCome and join some of the best MS/HS musicians in the country for a week of music and fun! 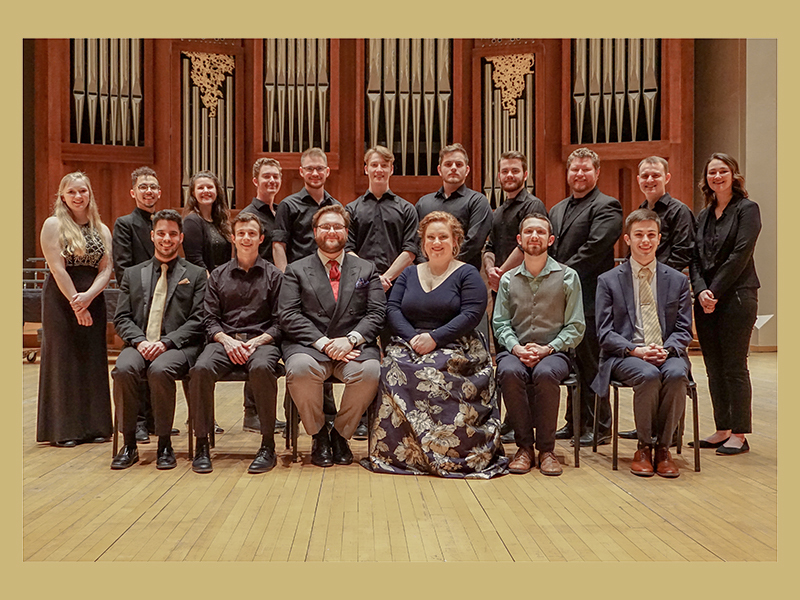 2019 Semper Pro Musica WinnersJoin us May 23rd at Carnegie Hall for the Semper Pro Musica winners recital! 2019 International Choral Conducting MasterclassIntense professional training for emerging conductors and singers. 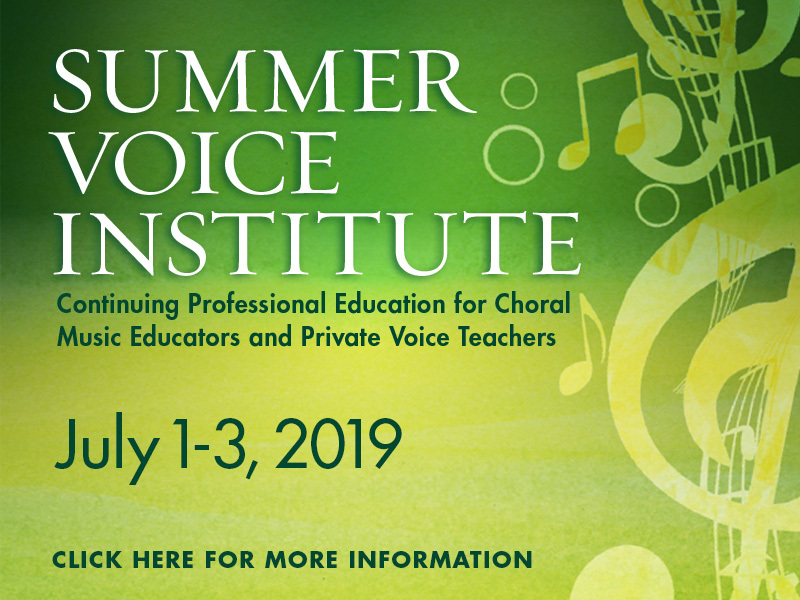 2019 Summer Voice InstituteOffering courses for professionals in Conducting and Rehearsal Techniques, Vocal and Choral Repertoire, Vocal Pedagogy, and Applied Voice. 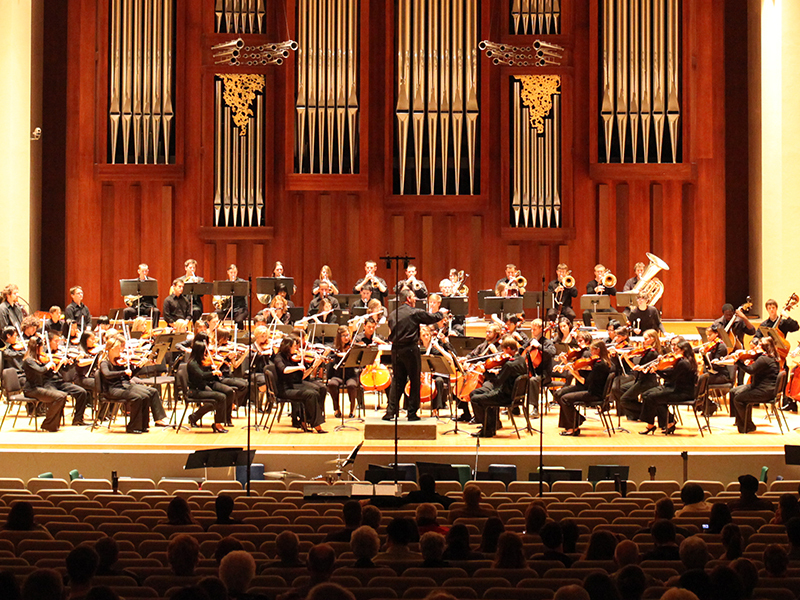 Live Streaming ConcertsWe invite you to watch world-class musical performances through our new live-streaming services. The School of Music is housed in the Glennis McCrary Music Building and two wings in the Waco Hall Complex. The School schedules four performing spaces, regularly gives performances in Armstrong Browning Library, provides facilities for private lessons, academic classes, individual and chamber music practice, and media/technology instruction. The Crouch Music Library in Moody Library has a large collection of music books, scores, and recordings. "Baylor's School of Music prepared me for a great music career; its world-class faculty was always available to share their expertise and provide meaningful advice." "Baylor Music Ed gave me the awareness to recognize and acknowledge everyone's unique learning process and the tools to be able to tailor my teaching approach to a wide variety of skill levels."